Avant-garde novel and film, social novel, Moroccan War literature, II Republic and Civil War literature and culture, peripheral nationalisms in Spain. 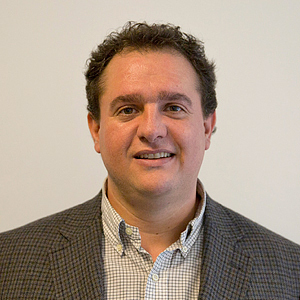 Gustavo Nanclares teaches Spanish Peninsular literature and culture. Some of his research interests include the Spanish historical avant-garde, the narrative of the 1920s and 30s and their relationship to international film, and the literature and culture of the Spanish-Moroccan War, the II Republic, and the Civil War. He is also interested in peripheral nationalisms in Spain, and has published several works on Basque literature and culture. He is the author of several articles on literature and film in the 1920s and on the literary and intellectual works of Jon Juaristi, Ramï¿½n de Basterra, Jorge de Oteiza, Benjamï¿½n Jarnï¿½s, Ernesto Gimï¿½nez Caballero, Ernestina de Champourcin, Josï¿½ Bergamï¿½n, Gilberto Owen, Mario Verdaguer, Miguel Mï¿½ndez, and others. His book entitled La Cï¿½mara y el Cï¿½lamo: Ansiedades Cinematogrï¿½ficas en la Narrativa Hispï¿½nica de Vanguardia was published in 2010 by Iberoamericana/Vervuert. His next book-length project examines the relationship between film and war from the Spanish-American War (1898) through the Spanish Civil War (1936-1939) and its impact in the emergence of Modernity in Spain.